Are you getting through these hot summer afternoons with a steady supply of cool drinks in an air-conditioned room? 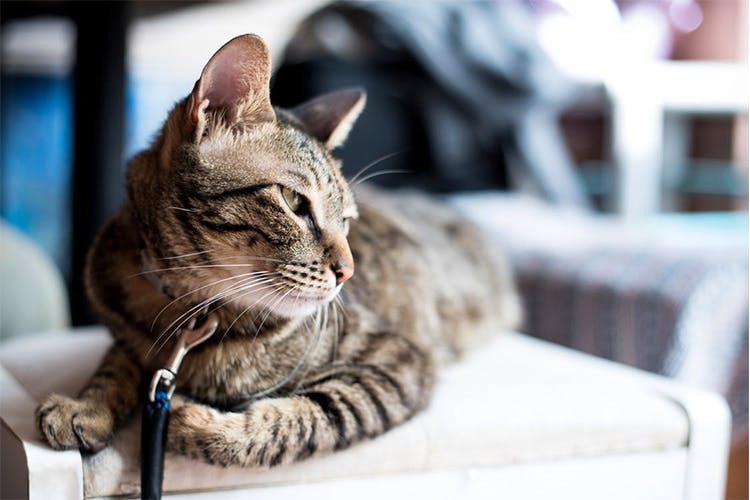 Cats and kittens feel the heat just as much as we do, so we’ve put together a few ways to keep your felines comfortable this summer. Keep a bowl of cool, fresh water within easy reach of your cat. You could dunk an ice-cube or two into their water to keep the water cool on hot days. If you live in a spacious house, have more than one bowl of water so your no matter which part of your home your cat is in, there’s an easily accessible bowl of water. Every cat has their favourite spots for naps. Very often, these spots are on the windowsill. While it’s fine for them to catch some sun, you should also make sure that your pet has access to some nap spots that are in the shade. Draw the curtains in the afternoon and make sure that your pet is indoors on days when the sun is just too hot. Keeping your pet hydrated isn’t always easy. A really neat trick we’ve learnt is to include wet food to their diet. This provides them with some hydration during meals. Some cats prefer a water fountain to stagnant water in a bowl so, you could try including one of these in your home. It’s best to keep your cat indoors in the afternoons and on especially hot days. If you let your pet out regularly, try and do so late in the evening when the sunshine is not as strong. If you’re looking for ways to keep your pet entertained indoors, look for toys that appeal to a cat’s natural instincts. Toys like cat wands and dangler toys draw out their inner ‘hunter’ and they’ll love chasing and swatting them. Brushing your pet regularly picks up shed and loose hair from his or her coat. This helps your pet’s coat feel lighter and cooler, making him or her more comfortable. Even using a basic double-sided brush will work well.